Code and Tell - a free writing reflection sheet that will support classroom coding and attach writing expectations alongside its classroom use. 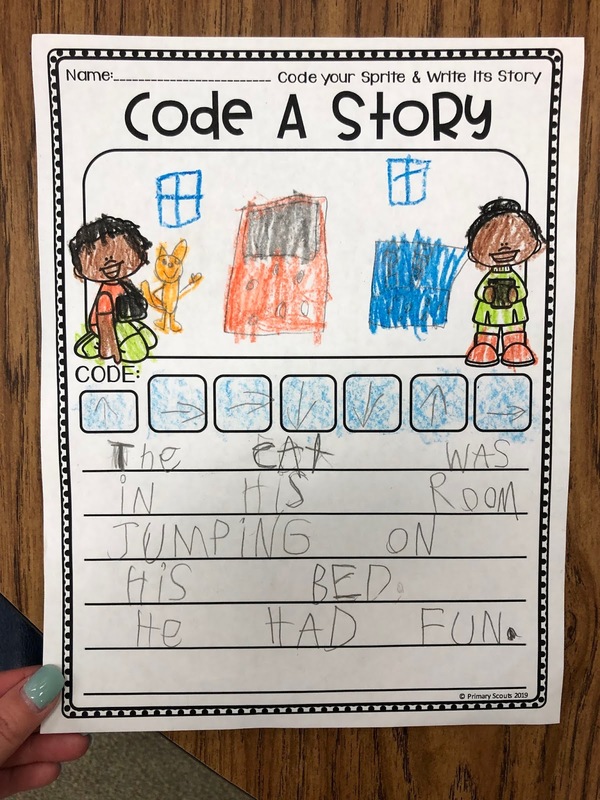 My kindergarten students LOVE to code! 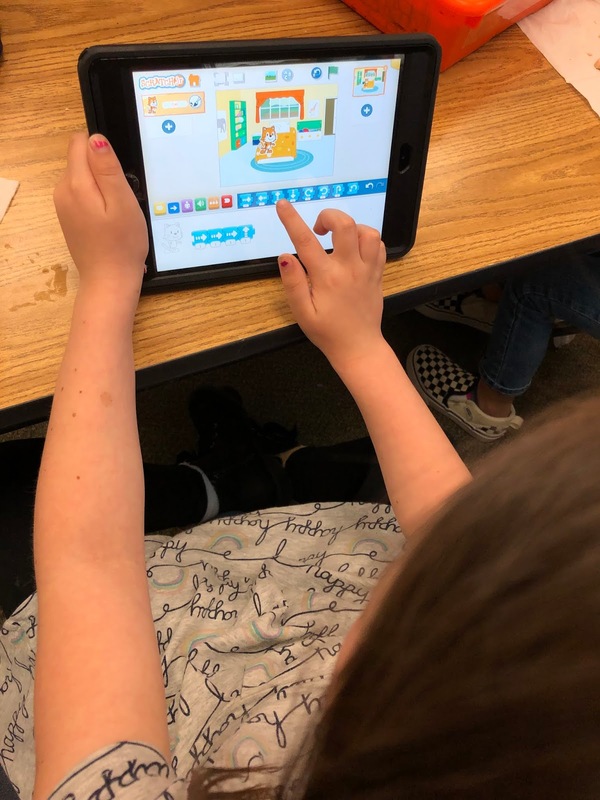 We've enjoyed free apps like Kodable, Caterpillar, and dabbled some with Scratch Jr. (below photo). Currently, my goal is to enhance their coding skills by assigning weekly tasks and teaching mini lessons to support the app. Here is an example of a motion focused mini lesson that supported making our Sprite, Scratch, walk to his bed and start jumping in it. Students placed the motion arrows (blue post it's). For each added motion, our class stood up and practiced the movements to make sure they made sense - as if we were Scratch. After students understood their task, I sent them back to practice on their iPads. To grab your FREE resource: click here and download!